I was speaking to my friend’s daughter aged 7 and she asked me, ‘What do you do? I replied I am a Scientist/Engineer. With so much surprise and disbelief, she said, ‘That’s not true and can’t be…’ Taken aback, I asked her ‘why are you so sure?’ Then in response she replied, ‘because most of the scientists/engineers I see on TV and in books are men’. To convince this little girl that I am indeed a scientist, I had to show her a picture of me in the lab using bioreactor. The ideology of this little girl is one that is sadly shared among children her age across continents in the world. Two separate studies conducted in Greece and the USA shows that about 65% of children between the age of nine to eleven drew a man when asked to draw a scientist (Smith 2009; Samaras et al., 2012). As quoted by SBS Australia (2018), “women only make up about one-fifth of the STEM force”. It is also no doubt that within this number, there are several under-represented women due to their culture, race or ethnicity. The progress of women in STEM has been impeded by false perceptions about women’s aptitude, interest and experiences. The Australian Office of the Chief Scientist (2016), debunked myth from fact when addressing the declining numbers of women in STEM. 1.) Girls are bad at Maths There is no gender difference in mathematics ability. 4.) The battle against sexism in science has been won. the treatment of women in science, there Is still a long way to go. My desire to become an engineer was one born from seeing my dad work as civil engineer, now retired. As a child, I loved the idea of building things and solving problems. However, when I told my Dad my intention of becoming an engineer, he was strongly against it and said it was unladylike. That nevertheless did not deter me. My Dad enrolled me for bachelor’s in medicine & surgery (which he felt was more befitting for a lady who wants to be in the sciences) but I switched to engineering without his knowledge. Statistics from Engineers Australia Discussion Paper (2018) shows that only 11.2% of females are employed in the engineering labour force with overseas born female engineers less likely to be in the labour force. Being a woman of colour, I understand the isolation that comes with probably being 1 in 50 people in STEM field. So, when I began my PhD just 3 weeks after I had just given birth to my first child (via c-section by the way), I needed a place where girls/women in STEM can come together and share ideas. I searched for a club within my University, but we didn’t have one. So, I said to myself, what stops me from pioneering one? The next day, I reached out to Dr Juan Shi and we discussed at length about my intentions. In December 2016, the Women in Science & Engineering (WISE) Club@ Victoria University was born. The aim of the club is to empower and support current female STEM students and encourage the younger girls to pursue STEM career paths. Since then, we have had amazing activities and events such as: Engineer’s Australia International Women’s Day, Victoria University International Women’s Day, Engineers Australia’s Engineer your dream event, Women of the world festival, Girls in Physics breakfast, African diaspora women’s summit, Spark Engineering Camp, Industry visits, Seminars, Employment training workshops, Movie nights and game nights. We have also connected a good number of our students to internships and employment opportunities in top engineering and technology companies. Recently, one of our students (WISE Club@VU Social Media Officer), Ms Sistha Kamadjaja was the valedictorian during the August 2018 Victoria University Graduation and has now secured a job in Rio Tinto. This shows the positive impact our club has on the university and society at large. In the future, my aim is to continue encouraging the girl child to become all she dreams to be. Morley Muse is a doctorate researcher at Victoria University, Werribee Campus. Her expertise and background are centred on generating sustainable energy forms with keen interest in biofuel energy generation. Morley began her journey as an engineer at The University of Nottingham where she studied Chemical with Environmental Engineering. Been drawn more towards Environmental engineering due to her passion for the environment, she decided to pursue a Masters in Sustainable energy technology where she was exposed to various means of generating clean at The University of Glamorgan (now South Wales). Upon completion of her thesis in the United Kingdom, herself and her husband relocated to Australia as skilled migrants. Whilst researching about Australia, Morley realised most of the arid lands may be useful for sustainable energy production particularly biomass energy which led her to pursue a PhD degree in microalgae cell wall degradation for anaerobic digestion, producing biogas and subsequently electricity. In addition, she is currently undertaking a major research along with her husband in sustainable oil palm production in West Africa. Morley is passionate about encouraging young girls’ participation in STEM disciplines and is the co-founder of Women in Science and Engineering Club (WISE) at Victoria University. Besides researching she enjoys writing, cooking and spending time with her family. After graduation, she hopes to continue in research and ideally work for the Australian government especially in areas of environmental sustainability. In addition, she would love to continue her passion for women and be involved with forums that strengthen the girl child to become all she dreams to be.
) SBS Australia. 2018. Women in STEM on what motivates them. [ONLINE] Available at: https://www.sbs.com.au/news/women-in-stem-on-what-motivates-them. [Accessed 6 October 2018]. Farland-Smith, D. (2009). How does culture shape students’ perceptions of scientists? Cross-national comparative study of American and Chinese elementary students. Journal of Elementary Science Education, 21(4), pp.23–42. Samaras, G., Bonoti, F. and Christidou, V. (2012). Exploring Children’s Perceptions of Scientists Through Drawings and Interviews. Procedia — Social and Behavioral Sciences, 46, pp.1541–1546. Prinsley A., Beavis A.S. & Clifford-Hordacre N. (2016),Office of the Chief Scientist Occasional Paper Series Busting myths about Women in STEM , Issue 13(online) Available at: https://www.chiefscientist.gov.au/wp-content/uploads/OCS-paper-13.pdf [Accessed 22 Oct. 2018]. 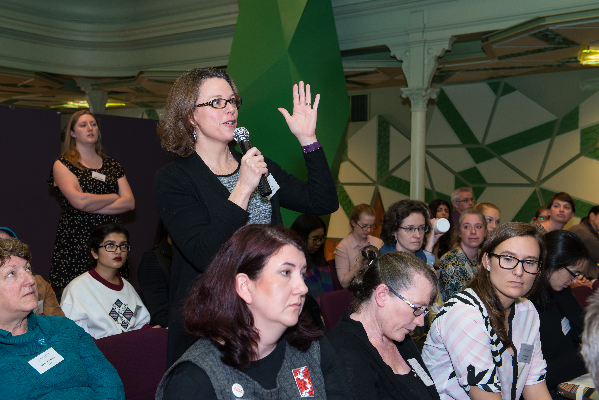 Engineers Australia (2018) Women In STEM Strategy: Response to the discussion paper (Online) Available at: https://www.engineersaustralia.org.au/sites/default/files/resources/Public%20Affairs/2018/Women%20in%20STEM%20Strategy%20(Cth%2C%20August%202018).pdf [Accessed 22 Oct. 2018].